When you’re looking for something “extra” to decorate your holiday gifts with, adding a pom or tassel can be just the thing. With this Pom and Tassel Maker you can make multiple pompons in just a few minutes. 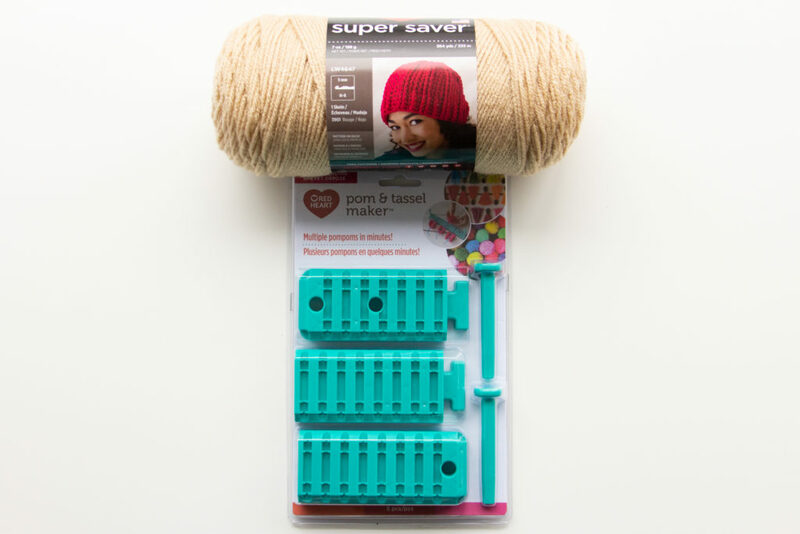 It comes with 3 pieces to create your track and 2 pegs to wrap the yarn around. Enter for a chance to win 1 Pom & Tassel Maker in red with Red Heart Super Saver in Charcoal. The deadline to enter is March 10th, 2019 at 11:59:59 p.m. Eastern Time. Copyright © 2016 The Giveaway Gazette. All rights reserved.